Collectively, we look forward to that first golden ear of corn at the summer table and Golden Bantam delivers just that. 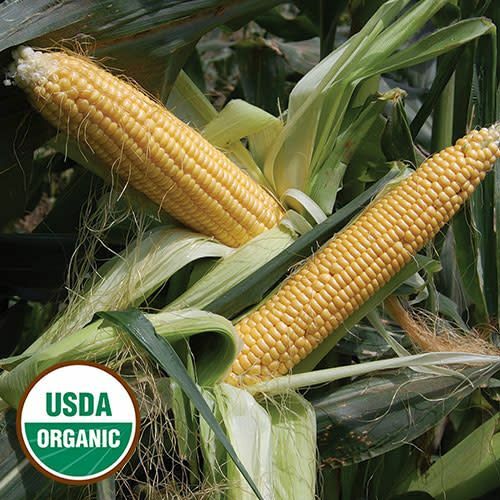 Producing an early crop for home gardeners and market growers, this historic variety has an excellent sweet flavor and is ideal for freezing and fresh eating. The original strain of Golden Bantam was introduced by W. Atlee Burpee in 1902, and this improved strain was selected for even longer ears and greater tenderness. 70-85 days.